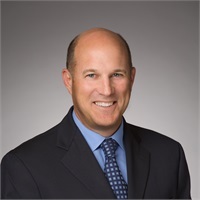 James R. Simone CFP®, CFA® | Rainier Financial Group, Inc.
James joins Rainier Financial Group after twenty-four years of experience in the financial services industry. As a Chartered Financial Analyst since 1996, James has extensive experience managing assets for institutional and individual clients. He is a graduate of Brown University and also a Certified Financial Planner, which has enabled him to follow his passion of helping individuals and families meet their financial aspirations. James is past president of the CFA Society Seattle and serves on the boards of Friends of Athletic Fields and Roosevelt Baseball Club. James enjoys being active outdoors and sports of all kinds. His favorite activity is spending time with his wife and three boys.